Bamboo Airways To Purchase 20 Boeing 787 Dreamliners. Boeing said on Monday it had reached an agreement to sell 20 of its long-haul wide-body aircraft to the Vietnamese company Bamboo Airways in a USD 5.6 billion deal at current list prices. As part of the agreement, which has not yet been finalized, FLC.HM Bamboo Airways, owned by FLC Group, made a deposit in mid-June to reserve the 787-9 Dreamliners, whose delivery will probably begin between April 2020 and 2021. 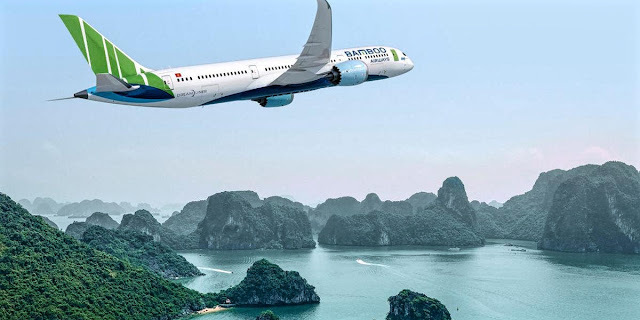 "Our long-term vision is to connect Vietnam to key markets within Asia, Europe and North America, and the capabilities of these new and modern Dreamliners will help us achieve our goals," said Trinh Van Quyet, president of FLC Group, owner of Bamboo Airways. He said that the planes "will help us grow our business and allow us to better serve our customers." Monday's announcement was made during a signing ceremony at the office of the US Chamber of Commerce in Washington DC. He was witnessed by Voung Dinh Hue, Deputy Prime Minister of Vietnam, and Nazak Nikakhtar, Deputy Secretary of Industry and Analysis of the US International Trade Administration of Department of Commerce. Bamboo Airways plans to start commercial operations next year in Hanoi. FLC Group also signed an initial agreement with Airbus SE (AIR.PA) in March for up to 24 A321neo aircraft.